MA in Photography, London College of Communication, 2005. Arts in the Community Development, 2000. Further Adult Education Teaching Certificate, 2000. BA (Hons) Documentary Photography (First Class), 1995-1998, University of Wales, Newport. Foundation Diploma in Photography (Merit) – Filton College, Bristol, 1994 -1995. Senior Lecturer – BA Photography, Falmouth University, 2007 – present. Senior Lecturer, Foundation Art & Design, University of Gloucestershire, 2007 – 2008. Visiting Lecturer – BA Documentary Photography, BA Photographic Art, University of Wales, Newport, 2005 – 2007. Part-time Lecturer – AS-Level, Foundation and HND Photography and OCN Photography modules, Filton College, Bristol, Jan 1999 – 2008. Lecturing Documentary Photography, Chapter Arts Centre, Cardiff, Jul 2000 – present. Freelance Artist – Bristol Youth Inclusion Project, Barton Hill, Bristol, photographic project concerning the issue of bullying, June – July 2003. Freelance Artist – NESA, North East Somerset Arts, Co-ordinating community photography workshops within Mental Health, April – August 2003. Co-ordinator of Creative Photography workshops, University of Bath, Oct 2000 – 2004. Psychological States: ‘Vasa Project’, Online film series entitled ‘Psychological States’ during the months of September, October, November & December 2015. Loose Space: Conversations with Myself, Horses Warped on an Altering Canvas, Group show curated by Claudia Pils, artP.kunstverein, Perchtoldsdorf, Austria. May – June 2015. Elusive: Conversations with Myself, Group show curated by Sian Bonnell, Camberwell Space, Camberwell College of Arts, London, Feb – March 2011. Creative Voices: Year Two Artist in Residence @ Ysbyty Gwynedd, Gwynedd Museum & Art Gallery, Bangor, April – June 2010. Open West: Conversations with Myself, Group show, Pittville Studios Gallery, Feb – March 2010. Modern Bodies: The Human Figure in the Twentieth Century, The Myth of Sexual Loss, National Museum of Wales, Cardiff, May 2009 -Jan 2010. Creative Voices: Year One Artist in Residence @ Ysbyty Gwynedd, Oriel Pendeitch, Cearnarfon, April – June 2009. Photomonth in Krakow: The Myth of Sexual Loss, May – June 2008. 3, Converstions with Myself, Picture This, Bristol, March – April 2008. The Sexual Landscape Recast, The Myth of Sexual Loss, Gallery 44, Toronto, June–July 2007. Kiss & Tell, The Myth of Sexual Loss, Group show, The Center for Photography at Woodstock, New York, Jan-March 2007. Conversations with Myself: MA show, London College of Communication, London, Nov-Dec 2005. Le Mois de la Photo a Montreal, The Myth of Sexual Loss, La Centrale, Montreal, Canada, Sept – Oct 2005. East International:The Myth of Sexual Loss, Norwich gallery, Norwich School of Art and Design, July – August 2004. The Home Idea Show, Waiting Rooms, Group show curated by Eshoda Arts, Hotbath Gallery, Bath. March – May 2004. The Myth of Sexual Loss: – Solo exhibition, Ffotogallery @ Turner House, Penarth, Wales. August – September 2003 & Trace, Weymouth, Nov – Dec 2003, Folly gallery, Lancaster, Jan – March 2004 and Michael Tippett Centre March – April 2005. 2gether 4ever: – Touring exhibition sponsored by Lilly ICOS a campaign to promote the sexual rights of older people, Elms Lester Painting rooms, Soho. London, Nov 2003 and touring. Changes: Memory Palette: Group exhibition, North East Somerset Arts, Radstock Community Centre, Sept 2003. Waiting rooms: Healthcare commission, group exhibition & touring solo exhibition, Bath & Bristol, commencing at the Hotbath gallery, May 2001 – currently touring. In Theory: Self Imprisonment, Group exhibition, BANA artists network, unused building, Bath, May 2001. 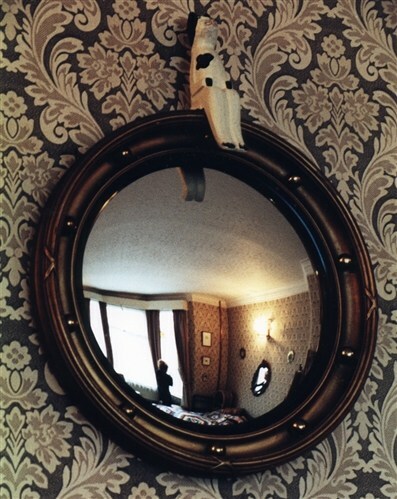 WEST: Wales 1st Ffotobiennial 2000, 3rd Prize, touring group exhibition – Ffotogallery, Cardiff, Glynn Vivian Art Gallery, Swansea / Aberystwyth Arts Centre / Wrexham Arts Centre – Nov 2000 – Oct 2001. Better Safe than “Sorry “: Community arts solo exhibition, Acorn Theatre, Penzance, Nov 2000 – Jan 2001. Places of Life: Self Imprisonment, Group Exhibition, La Cartaia, Prato, Tuscany, April – May 2000. Refuge: Women’s Aid National Conference. Solo exhibition and workshop, Liverpool University, July 1999. Agoraphobia: Developmental Arts for Mental Health.Group exhibition, Project ability, Glasgow, June-July 1999. Press Play: Conversations with Myself, Short Film & Video work, curated by Susan Francis, NewRed Studios, June 5th 2015. 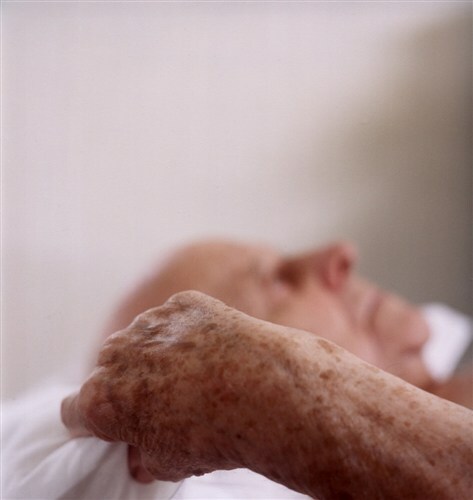 Artist in Residence at Ysbyty Gwynedd, Bangor: Making work within specific areas of the hospital & community with regard to care of the elderly and mental health. April 2008 – April 2010. The High Life: Commissioned to work with residents living in high rise flats to create a photographic exhibition. Touring from Oct 2007 onwards @ Wellspring Health Centre, Barton Hill Settlement and Arnofini, Bristol. 2gether 4ever: Touring exhibition sponsored by Lilly ICOS a campaign to promote the sexual rights of older people, Aug 2003 – Sept 2004. Memory Palette: Commissioned to work with elderly participants in their own homes creating artwork combining the past with the present. Co-ordinated by NESA – North East Somerset Arts, April – June 2003. 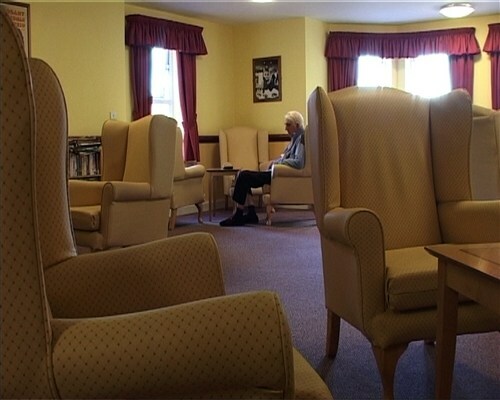 Waiting Rooms: Artistic interpretation of patients perception of waiting areas within healthcare practices. Jan – March 2001. Touring exhibition, Bath, Bristol and Wales, 2001 – 2006. Just Another Day: Recording the events of people for whom the dawning of the millennium was just another day, Great Orme Nursing Home, Llandudno, Dec 1999 – Jan 2000. Touring Group Exhibition, various venues in Wales and Bath, 2000 -2003. 20th Century Fine Art Collection: The Myth of Sexual Loss, National Museum of Wales, Cardiff. Photomonth in Krakow 2008: Festival catalogue. Locus Suspectus, Issue 3, Toronto, 2007. Image & Imagination, Le Mois de la Photo a Montreal2005, Festival catalogue. East International, Catalogue, Group show, Norwich Gallery, Norwich, 2004. Nextlevel, Edition 01, Volume 02, London, 2003. WEST, Wales 1st Ffotobiennial, Catalogue, Ffotogallery, Cardiff, 2000. Places of Life, Catalogue, Dryphoto Arte Contemporanea, Tuscany, Italy, 2000. Grants for the arts: Awarded by The Arts Council of England, South West for the development of new work concerning Body Dysmorphic Disorder. August 2006. Small Wonders: Picture This, Film/Video award for artists, 2004- 07. Awards for Artists: Awarded by The Arts Council of England, South West for the development of new work concerning Obsessive Compulsive Disorder. Feb 2003. Melhuish Fine Art Award: Awarded by South West Arts for the continuation of personal work concerning the ageing sexual body, Jan 2001. European Award for women photographers: 1st Prize, Self Imprisonment – Group Exhibition, Prato, Tuscany, April – May 2000.